Living in the metropolitan Phoenix area, it can almost be considered an emergency if the air conditioning in your vehicle breaks down or isn’t working properly. Colby Welding & Radiator, Inc. offers fast heat exchanger repair services for the Phoenix area. Our services for air conditioning condensers and evaporators will ensure the AC in your personal vehicle or work equipment runs properly at all times. The heat exchanger technicians at Colby Welding & Radiator, Inc. have extensive experience repairing personal vehicle, industrial, and construction air conditioning condensers and evaporators. If you’re currently experiencing issues with your heat exchangers, let the professionals at Colby Welding & Radiator, Inc. diagnose and repair them today. Phoenix Air Conditioning Condenser and Evaporator Repair Service Benefits from Colby Welding & Radiator, inc.
At Colby Welding & Radiator, Inc., we know exactly what our customers want from their heat exchanger repair shop and we deliver it every time. 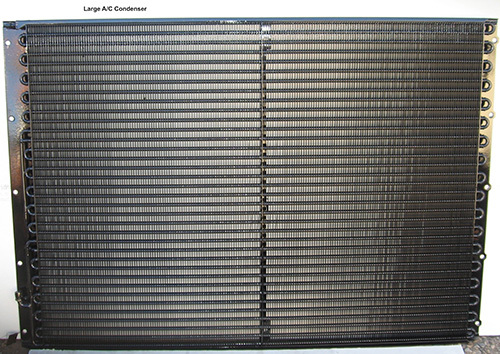 We know you want your air conditioning condenser and evaporator repairs performed quickly and with precision to ensure we get them done right the first time. We also know you expect superior customer service at cost-effective rates. You’ll get it all and more right here at Colby Welding & Radiator, Inc.
For professional air conditioning condenser and evaporator repair services in Phoenix, contact Colby Welding & Radiator, Inc. today at (602) 258-7147. To learn more about our heat exchanger repair services for the automotive, construction, and industrial industries, you can also reach us through our Contact Us page.